Do want you want to make that transition from the old traditional economy to the new digital economy? I think it’s not only important to make this transition but for many people it has become essential. We are hearing everyday about people who are struggling just to keep their head above water and with the cost of living going up and a number of other factors going on, it has become very difficult for a lot of people out there. But there are almost two distinct communities of people – those that are struggling and really having to fight to keep their head above water and the other community of people in the digital economy who are thriving and doing better than they have ever done before. In this video below Stuart Ross, co-founder of Six Figure Mentors (SFM) and the Digital Experts Academy (DEA) discusses how they’ve witnessed over the last few years people, of all different ages and from all walks of life and some with no internet experience or technical skills, make that transition to the digital economy. These people have not only managed to keep their head above water but have been more successful that they ever though possible. We are living in an awesome age and their never has been a time like it is now. Just think… you can get started in business for yourself literally tomorrow on a shoe-string budget by selling other peoples products as an affiliate and start collecting commissions for the sales. You don’t have to worry about customer support, you don’t have to worry about staff, you don’t have to worry about investing thousands of dollars into starting a traditional business. You can also do it part-time around your current job until you are earning enough money to replace the income. In this way you can become more self-sufficient and provide a lot more security for yourself and your family. In the video below Stuart will explain more about this and why you are in the right place at the right time and how you can benefit from transitioning across to the “digital Economy”. For the last five years Stuart has witnessed thousands of people from all over the world make the transition from the traditional economy into the digital economy. Another way of looking at it is moving from the old beaten up economy to this new, exciting, thriving economy. The most exciting thing is that since Stuart Ross and Jay Kubassek set up the Six Figure Mentors (SFM) and the Digital Experts Academy (DEA) that have witnessed people from all different backgrounds, of all ages and from all over the world, make this transition to the digital economy. The objective of Stuart and Jay is to use the SFM and DEA to make it easier and quicker for people to make this transition. The way they see the world right now is that is is made up of four categories of people. The first category of people to discuss is the employee in the traditional economy. It’s difficult to be an employee in the traditional economy right now. Big businesses are going bankrupt and everyday through the news and other media we are hearing about other well known companies being sucked into this struggling traditional economy. People are being laid off and losing their jobs. Machines are replacing a lot of jobs, which were previously carried out by a people. You only have to walk into your local supermarket to see that there are now self-checkouts instead of the normal human cashiers. Another example is what’s happening in factories where previously it may have taken 5 people to build a car and it now takes one person operating a machine. We are hearing about it all the time – people being replaced by machines and technology in this digital age. There is also very little leverage as an employee and that’s something I’ll discuss further later on. The next category of person to discuss in the traditional economy is the sole trader or specialist or somebody who works for themselves. These people tend to have it a bit better than the employee and they can’t get fired as they are working for themselves. Again like the employee they have very little leverage and are really struggling right now. They have competition in their area of business coming from the online world and more and more other businesses competing on prices – all lowering their prices in an attempt to get more clients and customers and survive in the struggling traditional economy. The employee and sole trader are the most common category of people. It is expected of many people to go to college or university, get good grades and then get a secure safe job with it’s benefits or become a sole trader. I understand that this way of doing things did work but in the opinion of many that old industrial age system is now broken. Now let’s talk about the digital economy and let’s discuss the digital expert or digital entrepreneur. Stuart Ross made the transition from employee to digital entrepreneur back in 2008. What got him really excited was the potential as he understood the leverage of becoming a digital expert. The fascinating thing is that it’s not that difficult to make this transition. Once you learn a few principles in the new digital age it’s far easier to get started online that it ever was in the past and create your own business. A lot of the ’New Rich’ that are coming out from the digital economy were not born with a solver spoon in their mouths, did not have tens or hundreds of thousands of dollars to start a business. Yet they’ve been able to scale and build business very quickly. 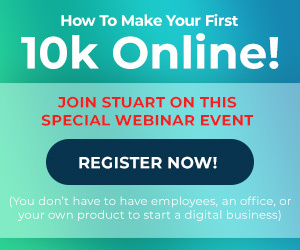 Stuart for example in his very first year online went on to make a six-figure multiple income and went on to quit is job within six months of making the migration from the traditional economy to the digital economy. Being a publisher or product owner is an incredibly exciting part of the digital economy because there is so much leverage behind it. The type of people in this category are creating products, whether it be software or information products. They are then able to scale and grow their businesses at an amazingly quick rate because of the internet and the global presence that allows them to have. The path that most people follow into the digital economy is that they move across from being an employee in the traditional economy to being a digital expert or entrepreneur in the digital economy. They can then start to create of publish their own products. In this way they get more and more success and more and more leverage which is what has happened to Stuart in his businesses. A few other things to point out is that people who have made the transition to the digital economy have a lot more freedom – financial and time. People migrating into the digital economy are making way more money than they did in their jobs in the traditional economy as an employee or self-employed specialist. Now that they’ve entered the digital economy they are able to scale their businesses quicker because of the online world. They also have geographical freedom because as a digital entrepreneur you can run your business from anywhere in the world as long as you have your laptop and an internet connection. In this situation you have the freedom to work when you want and where you want. 2009 was Stuart’s second year online and on average he was working 1 – 3 hours a day at most. He was making a multiple six-figure income and was travelling the world. He had financial freedom, time freedom and the flexibility to be wherever he wanted and still make money. In most cases people in the traditional economy who are self-employed have very little freedom because of the faltering economy and having to compete on prices and so not meet the profits margins they did in the past. Because of the lack of leverage the traditional economy is not exciting economy to be in. Particularly for an employee who has to trade time for money. You have to make sure you have an alarm clock, commute, show up for work and if you don’t show up you don’t get paid. There is no leverage. One of the other freedom factors of being a digital expert is that you are using tools and technology to work for you. A prime example of this is leveraging technology to do selling for you. People in the traditional economy are still cold calling and trying to do the hard sell approach. Well that does not work anymore. People who want to buy something will go online and research and they make an informed decision on what they want to buy. Yet people in the traditional economy are phoning hundreds and hundreds of people a day while the digital expert is sat on the beach while his website, tools and technology is doing the selling for him. Automation and technology to do the sorting and sifting. People may ask, “How can technology be used to find customers?” Well it sorts and sifts. rather than speaking to people one-by-one you are putting people through various different channels and educating them and helping the along the way. This make the buyer experience for more pleasant than having to hunt down and close potential customers as you would do in the traditional economy. In a nutshell I have summarised the two very different categories – the old traditional economy and the new digital economy. The new digital economy offers leverage, time freedom, geographical freedom and flexibility which the traditional economy does not. For example DEA and SFM have a group of staff all over the world who run the business on a day-to-day basis and it’s all done virtually through the internet. It’s an amazing place to be.It’s my recommendation that anyone reading this who is serious about their future should acquire the fundamental skills required to become a digital expert. In the SFM and DEA we show ordinary people from all over the globe, of all ages and different backgrounds how to achieve financial and time freedom and have the flexibility to be able to work anywhere in the world using a genuine turn-key Digital Business System. 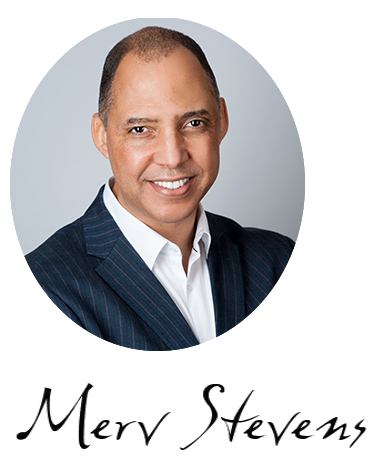 If you are serious about making the transition from the old traditional economy and want to know how to thrive and profit in the new Digital Economy… Click Right Here! 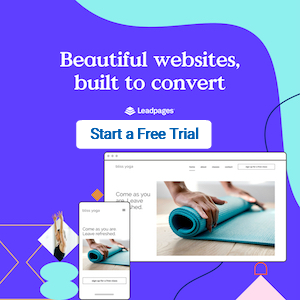 Previous post: Give Your Business An Online Facelift: Start A Self Hosted WordPress Blog! Next post: Nuriche: Good For Your Body And Your Pocketbook?